Bliss Tanning, LLC is an airbrush only tanning studio located in Kitsap County. We offer individual tanning sessions as well as tanning parties and specialty tanning which includes pageants, body building contests, photo shoots and more. Bliss Tanning also provides a full selection of tanning products such as extenders, tanning aerosols, lotions and exfoliators. At Bliss Tanning, a trained airbrush technician will apply a bronzing solution to enhance your natural skin tone, giving you a flawless, natural-looking tan. Airbrush tanning is UV-Free, making it a safe and effective alternative to conventional tanning. The products we use paraben free and are comprised of natural and organic ingredients. 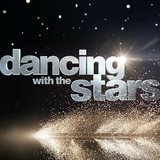 The products used at Bliss Airbursh Tanning is also the official spray tan provider for ABC’s Dancing with the Stars. This product line can also be found on the following TV sets: Modern Family, Suburgatory, True Blood, Mad Men, Sons of Anarchy, 1600 Penn, Client List, Girls, Happy Endings, Hawaii 5-0, NCIS, Days of Our Lives, Castle and Touch. For the Big Screen, the products have also been used on 300, Battleship, Immortals, John Carter, Mission Impossible IV, Pirates of the Caribbean IV as well as photo shoots for Victoria’s Secret.